Law Office of Robert W. Fong is a bankruptcy law practice located in Sacramento, CA. We have offices located in Carmichael and Stockton and Fair Oaks. Bankruptcy lawyer Robert Fong is committed to helping people protect their assets while discharging their debts in Bankruptcy. Sacramento bankruptcy attorney Robert Fong will determine if Bankruptcy is a viable option for you, and if so, provide proficient, accurate, and protective representation. 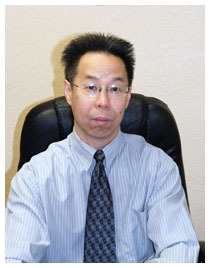 Robert W. Fong has represented thousands of people in Bankruptcy cases, and has a over 20 years of legal experience. We have the experience that is necessary to properly evaluate, prepare, and file your case. We are members of the California State Bar. If you are having financial hardship and are considering filling for bankruptcy, contact us by calling (916) 971-8880 for a FREE confidential bankruptcy consultation. Serving Stockton area and the Greater Sacramento area including communities of Carmichael, Rancho Cordova, Fair Oaks, North Highlands and Citrus Heights.